(Ever) Ever After | What the Ducks! Some mornings I feel like Snow White or something. Birds calling, deer bedding down in the driveway, various furry varmints nibbling on clover and/or cabbage, Prince Charming on the couch. Hmm. Ya know, if I really am Snow White, might just wanna rethink those apple trees. You’ll have to be quick to get the apple, the deer love them! I’ll also have to actually *grow* an apple. They don’t do well in my yard, alas. Great shot. 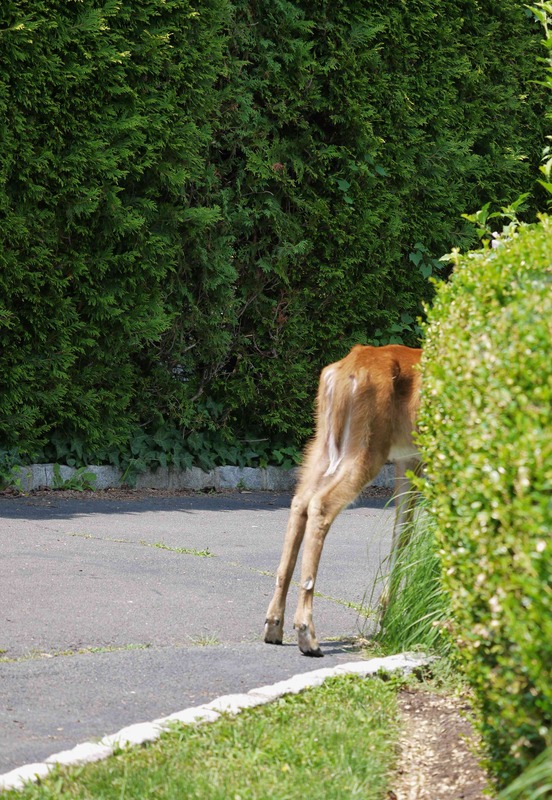 When I lived in that part of the world, a herd of deer passed by every afternoon. There was no rolling in the grass. Have you had turkeys at a feeder yet? Do the critters do your housework for you?, too?